Dr. Tsering Norboo, Founder and Honarary Secretary, Ladakh institute of prevention: It will not be fair to say that the culture of drinking alcohol was not there in the past. On the contrary, every farming family brewed the local beverage chang. 90% of the population were farmers then and barley, one of the main agricultural produce, from which chang is brewed was always available in their homes. During those times, Chang was served on almost every occasion, be it a celebration related to birth, marriage or funeral or farming activities in spring and autumn. It was considered an energy drink and in a way cemented community building and acted as a social lubricant in promoting folk songs, folk dance and many other cultural activities. However, alcohol having an addicting property results in many harmful effects on the health. Chang taken in large quantities, tend to fulfill the calorie (energy) requirement of the body of simple hardworking farmers and they would invariably miss other macro and micronutrient containing foods like meat, milk, egg, fresh vegetables and fruits, resulting in all kinds of deficiency disorders. Earlier, women used to brew chang and gets easily addicted to it and we have seen many rural middle-aged and elderly women suffering from the alcohol-related chronic liver disease. In the past, people due to less engagement involves in binge drinking for days and nights endlessly and these were the group of people, who would invariably suffer from alcohol-related food pipe (Oesophagus), stomach, pancreas and liver problems shortening their lifespan by 10 years on an average. Until the late 1970’s alcohol and cigarettes were issued free as a ration in the Army. Ladakhi recruits joining the army at the young age in late teens were easily lured to the habit of alcohol indulgence and become addicted to it. Similarly, alcohol was issued in Paramilitary organization free or on a subsidized rate. We know of many retired servicemen who subsequently died of Cirrhosis of the liver in their middle ages. These were times before the Indian army realized the ill effects of free rationing of alcohol and cigarettes and stopped the free issue of these health damaging items. In the 1980’s the economy of Ladakh has improved due to the tourism industry. And with an increase in the disposable income majority of the people spend their money on costly and luring alcohol, cigarettes, and cars which for them became an index of social status in a way. Driving under the influence of alcohol has become the greatest risk factor. 1. Drinking resulting in recurrent failure to fulfill role obligation. 2. Continued drinking despite alcohol-related social or interpersonal problems etc. Two or more of such problem areas occurring in the same twelve month period is defined as alcohol use disorder. In many countries, there are 'Alcohol Anonymous group AA group' who are committed to helping alcohol abusers to give up this habit. Ladakh also needs such a committed support group. Alcohol (beverage Ethanol) distributes throughout the body, affecting almost all systems and altering nearly every neurochemical process in the brain. Mental conditions like memory impairment are known with both acute intoxication as well as with chronic abuse. There is a tendency for Physical and sexual violence and vulnerability to substance abuse to other drugs and attempts to suicide are usually associated with it. As few as 1.5 drinks per day increase a women’s risk factor for breast cancer by 1.4 fold. Four drinks per day increase the risk of oral and esophageal cancers threefold and rectal cancer by a factor of 1.5. Alcohol effects on the stomach, liver, pancreas, heart and blood pressure are too common for even the layman to understand. • Religious leaders, doctors, teachers, public figures, sportspersons, artists, scholars should set an example by following a disciplined life. • Seminars and workshops need to be organised in school and colleges on the subject. • Religious leaders should spend at least 5 minutes during sermons on educating the population about the ill effects of alcohol, cigarettes, and other substance abuse. • Enforcing agents should perform their regulation duties sincerely. • The existing bars should have limited timing for opening and closing. There should be a check on issuing of a license for opening new bars. Konchok Rabstan Bhoti Teacher, Druk Padma Karpo School: In the past, there were fewer resources, there is a lack of variety of food to eat and have not heard the names of the things which are available these days. People in past were dependent mostly on Chang (local beer) and Phay (barley). Now if we look at the current situation of Ladakh there are end number of varieties available and with that, the consumption of alcohol has increased immensely. Earlier, even when they were drunk, they never harm others. No cases of robbery were reported but today with consumption of alcohol, we witness many crimes. With the change in time varieties of alcohol has been introduced like beer, rum, whiskey and many more. The higher authorities and the heads of a particular institute are responsible for the growth of alcohol culture in Leh. People cannot open wine shops unless he gets No Objection Certificate (NOC) from the administration. The concerned who gives the certificate is killing the atmosphere and least bothered about the future of Ladakh. Our culture is known for the gentle behaviour which has been inherited from our ancestor, all of these will completely be history in the coming years. We have different religious organisations and women wing which can formally plan or bring out a rule against the strict consumption of alcohol. In places like Bihar where the population is huge in number, the authorities have managed to ban the alcohol but in our place, with very less population have failed to do so. People with different perspective may or may not believe in the religious aspect. The person who believes in religious theory will stop the consumption of alcohol considering it as a sin. But moral education is more important to educate and make them understand its ill effects. It is important to make them realize that it causes hindrances in career and can make financially unstable. Moral education will be more effective than forcing the religion prospect to get rid of the alcohol. People these days are more practical and would believe in what they see rather than what has been said in the religious terms. Experts sharing their views about alcohol will not serve the purpose, instead, the initiative needs to be taken to stop the renewal of the registration. Our society has become ignorant of such situations. Now, serving varieties of alcohol have become a culture in Ladakh. On the auspicious days, like meat shops are closed, as per the instruction, similarly, during Losar and other festive occasion, wine shops also need to be closed so that people can celebrate in a more traditional way. • Moral education is very important as these would help people to see things more closely. 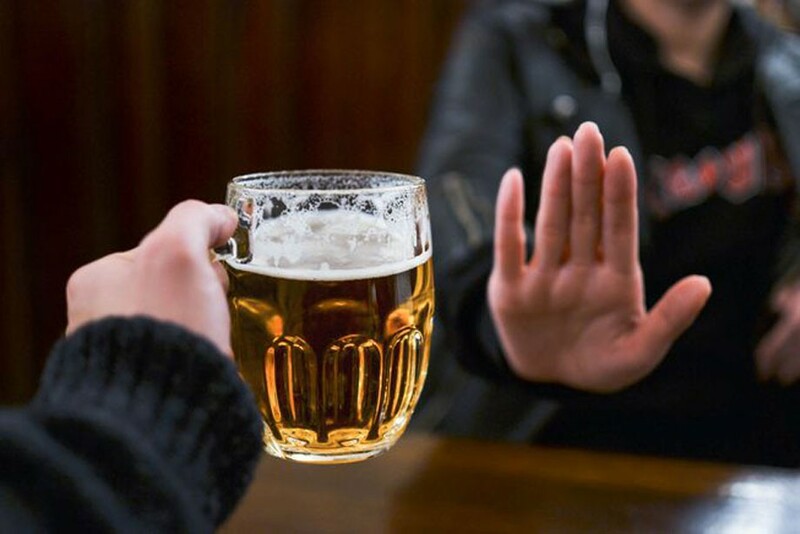 • People with past experience of consuming alcohol should be called during the awareness session so the others would get connected easily.